Mark Gatiss (Sherlock, Doctor Who, Game of Thrones) reads chilling tales by the unsung master of the classic ghost story: E. F. Benson. There's nothing sinister about a London bus. Nothing supernatural could occur on a busy train platform. There's nothing terrifying about a little caterpillar. And a telephone, what could be scary about that? Don't be frightened of the dark corners of your room. Don't be alarmed by a sudden inexplicable chill. There's no need for a ticking clock, a limping footstep, or a knock at the door to start you trembling. There's nothing to be scared of. Nothing at all. Highly recommended to classic horror fans! I have been a fan of E.F. Benson's ghost stories for many years, and I am also a huge fan of Mark Gatiss, so to run across the combination was a true Christmas treat for me! 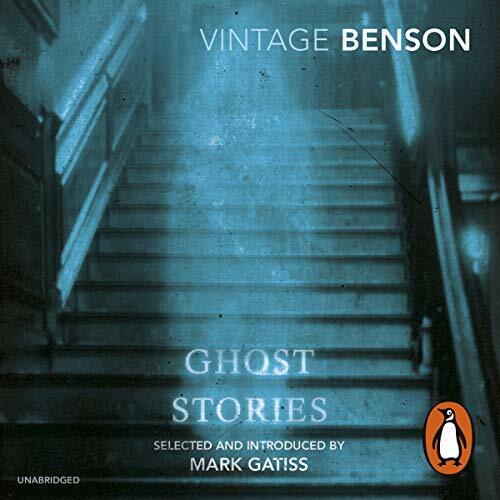 Benson wrote some wonderful classic ghost stories and this is an excellent selection of some of his best, though of course I wish there were more here. He wrote a huge selection, and it would be lovely to have another volume read by this reader. Gatiss is a superb reader. 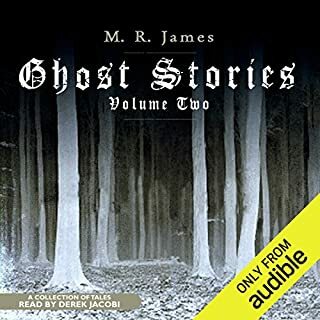 I wish we could have a collection of him reading M. R. James (the best ghost story writer to ever live, in my opinion) as I know Gatiss is a fan of James also and I feel sure he would read them splendidly. I also wish that Audible would provide us with Mr. Gatiss reading his own books. 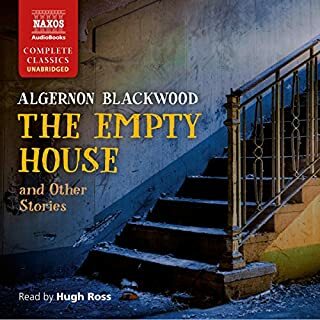 I know he has provided audio recordings of at least one of his works, how about getting them for us, Audible? Please? Disclaimer: I have not heard all the stories yet. Because these are very restrained, atmospheric stories you need to be in the right mood to listen. Mark Gatiss is a wonderful narrator, perfect at maintaining a calm tone on the surface to give a sharper edge to the events. I get worried sometimes about a single narrator performing dialogue, but Gatiss is excellent at distinguishing characters without distractingly silly voices. Firstly, it was a thrill to discover that E F Benson, a fairly new love of mine, is a firm favourite of Mark Gatiss, who is a genius in his own right. 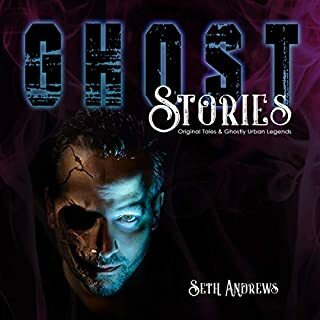 His narration of these spooky tales is without peer, they grip you and don't let go. Gatiss inhabits the dozens of different characters with very distinct nuances, and does so effortlessly. This collection has been an absolute blessing for many otherwise banal car drives. I thoroughly enjoyed listening to Mark Gatiss reading those well written ghost stories. It was quite clear from his performance that he not only loves these kind of stories but is a skilled and experienced actor who has a well trained voice. It's a nice change from Gothic castles and Victorian weirs but certainly just as creepy. The airy atmosphere created by the stories & performance makes the eerie parts cut just that bit deeper. Have you listened to any of Mark Gatiss’s other performances before? How does this one compare? Mark Gatiss is an excellent narrator and does an tremendous job with these tales. Listened to the entire series of stories on one sitting while working on a knitting project. Kept me thoroughly entertained and engaged. Good creepy fun, especially for those who enjoy old-fashioned ghost stories. I do not consider the majority of the stories in this volume to be ghost stories, but they are all unsettling and their composition ia excellent. So too is the narration. I highly recommend this book to anyone who enjoys classical writing and a good chill. The stories vary a bit in quality but over all they were intrigueing. They are not very scary so it can be a nice listen even for those who are easily scared. Gatiss narration is fantastic! Very atmospheric stories, creepy, and read superbly by Mr Gatiss, who clearly relishes them. 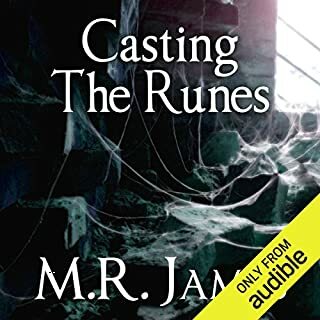 Despite listening to many audiobooks this is my first review, I am moved to do so simply because someone has given this a rating of one star, which is ridiculous. More please! 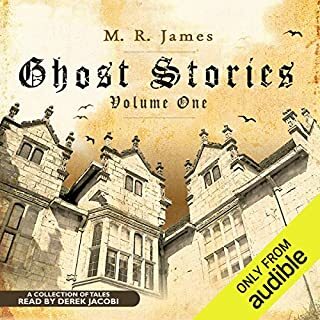 lovingly read by the brilliant Mark Gatiss, this collection is the closest in quality to the unbeatable MR James of nearly all the available ghost stories in my opinion. a second or extended volume would be very welcome. I have always thought that Benson's Ghost stories should be held in the same esteem as M R James. Those on this audio book are enhanced by the reader. Who better than Mark Gatiss! His voice alone,when in full creepy mode sends a shiver down the spine! Just wish there were more stories on th CD. What did you like most about E.F. Benson's Ghost Stories? Obviously with ghost stories of this type and from this period in time comparison to James is inevitable. Whilst James' stories are undoubtedly excellent they always struck me as strangely soul less, almost clinical in their execution. Benson' stories however overflow with personality, wit and charm whilst being genuinely eerie. Beautifully worded and superbly performed the only fault with this is that it is way, way too short. A whimsical, at times, collection of very English ghost stories. Superbly read by Mark Gatiss. Would you listen to E.F. Benson's Ghost Stories again? Why? As with all E.F. Benson stories these are entertaining and multi layered. His eye for detail is fantastic, it gives you such a vivid picture of the people and places. What about Mark Gatiss’s performance did you like? This was a revelation - such a beautiful voice, I was swept away by him. 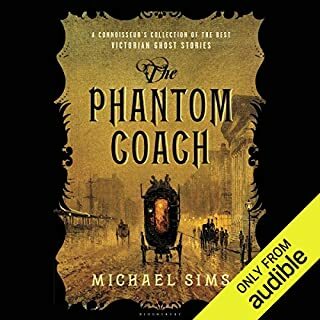 His voicing of the characters, the pace and tone, made this one of the best narrations I have ever listened to. A totally bewitching listen, I can only wish that Mark Gatiss will do many more readings. As a fan of M R James I was overjoyed to discover this author. He was a contemporary of James' and his stories are a joy to listen to, perfectly narrated by Mark Gatiss. I am so glad I discovered Bensons work. Better late than never! Loved the stories and the narration was perfect. I would recommend this book to any lover of ghost stories. Yes without hesitation. Mark Gatiss' narration was almost hypnotic, i was immersed in the story from a few lines in and held to the last. What more can you ask. What does Mark Gatiss bring to the story that you wouldn’t experience if you had only read the book? understated tension and drama in the telling appealed to me. Enough for good effect without quashing my own imaginings. No, but no less for that. like a long walk down a dark and unfamiliar corridor with nothing but a flickering candle.